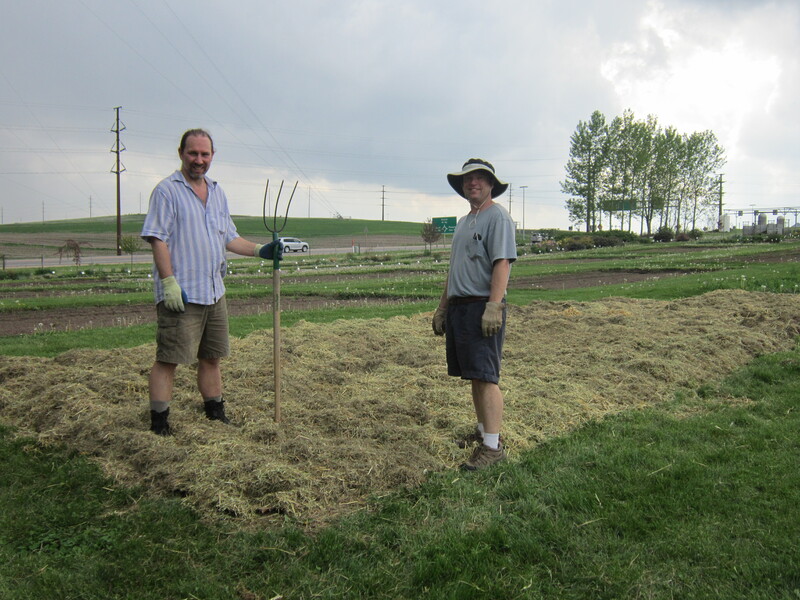 On May 3, 2012 garden staff assisted in the creation of a Lasagna Garden at the University Display Gardens. 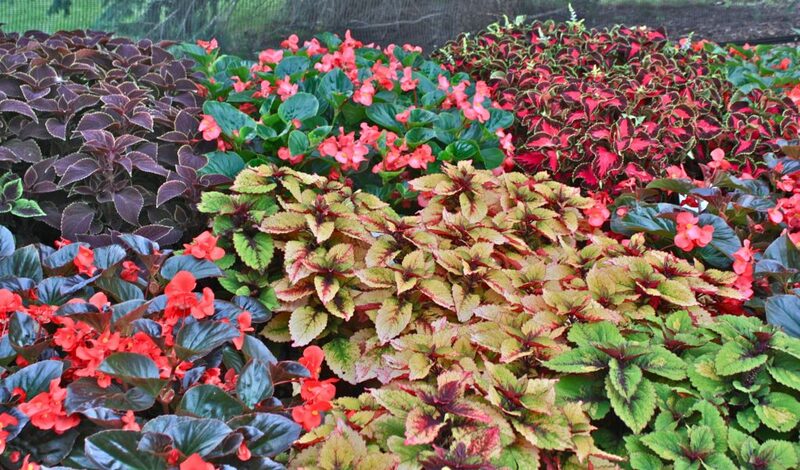 This demonstration garden will showcase a new and popular method for homeowners to convert existing lawn or overrun garden area into a productive garden space. The process starts by laying a layer of cardboard on the ground and covering with 18in of clean alfalfa hay. In total about 3300lbs of hay was added on top of our 16 x 40 ft bed. We applied the hay on May 3, 2012 and in the past three weeks we have kept it wet to encourage the decomposition process. On May 31, 2012 the garden will be planted by project coordinator Roger Reynolds. Roger has done many of these gardens around the state and will be planting the bed in a mix of vegetables, herbs, fruits, and flowers. It is intended to demonstrate that a garden can be both decorative and functional. Join Roger on May 31, 2012 as he plants his Frank Loyd Wright inspired design. He will be in the garden from 2-6pm to answer questions and give advice on this system of gardening. This entry was posted in Events and tagged 2012, alfalfa, annual flowers, demonstration, educational programs, garden educational programs, gardening, infiltrating gardens, Lasagna Garden, madison, May 31, new, University Display Gardens, wisconsin, WMARS by bemerson. Bookmark the permalink.